The *.blockplt file extension is related to the LEGO MINDSTORMS NXT palette file format. What is blockplt file? How to open blockplt files? The blockplt file extension is associated with the LEGO MINDSTORMS NXT an an intelligent microcomputer brick and intuitive drag-and-drop programming application. The *.blockplt file stores palette settings for programmable blocks. 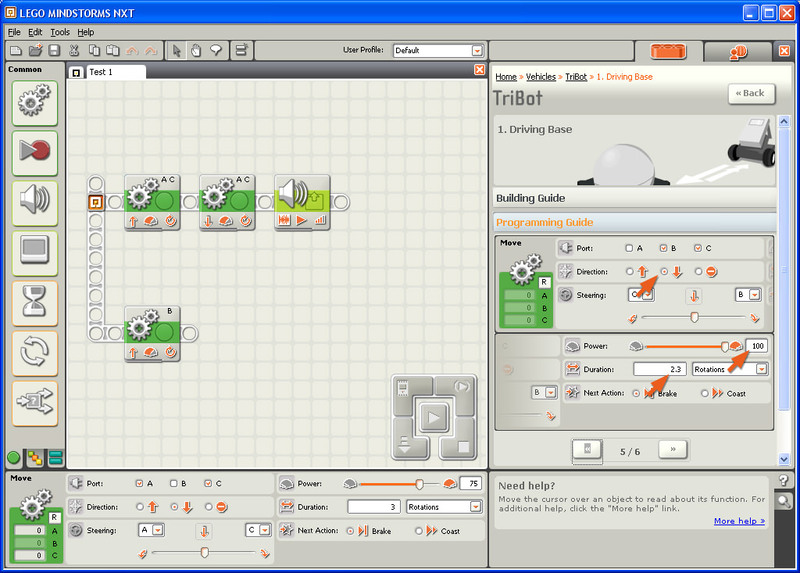 LEGO MINDSTORMS NXT software is used to programming LEGO MINDSTORMS NXT programmable robotics kits. and possible program actions that can be done with the file: like open blockplt file, edit blockplt file, convert blockplt file, view blockplt file, play blockplt file etc. (if exist software for corresponding action in File-Extensions.org's database). Programs supporting the exension blockplt on the main platforms Windows, Mac, Linux or mobile. Click on the link to get more information about LEGO MINDSTORMS NXT for settings blockplt file action.